This year, Apple came up with two events for its most popular devices. Where in September, it was about the iPhone XS, XS Max and XR, in the October end, it amazed the tech enthusiasts again by unveiling the newer, third generation of its iPads. On October 30, the Californian tech giant revealed its new line-up of tablets along with a new MacBook Air too. 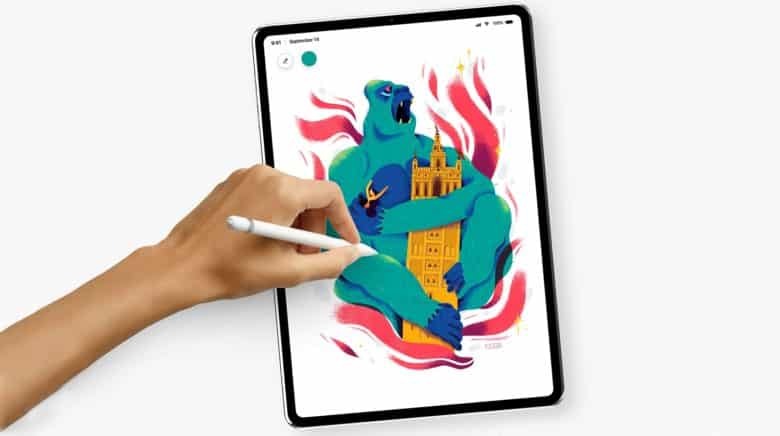 Apple announced two new tablets under its iPad series, the iPad Pro with screen sizes of 11inch and 12.9inch. The highlight of them is that they come with the now popularized Face ID, USB Type-C charging ports, and a ‘Liquid Retina’ display (also used in this year’s iPhone XR). Another surprise was the omission of ‘Home Button’ from the iPads. Yes, Apple has done away with the most secure utility on its tablets too, in favor of the iOS 12 gestures. Now you will be doing all your tasks via gestures like you do on your iPhone X and above models. You can swipe from any edge of the iPad’s screen to come to the home screen, and also use those swipes to do multi-tasking, switch between apps, bring up the Notification Center, and other functions et al. The Apple Pencil has also been improvised, adding up gestures to change between modes of using it. There is also the flat side on it, from preventing it from rolling away, and a new way of charging via magnetic attachment. But the bad news is that the newer version of Apple Pencil won’t be compatible with the previous generations of the iPads, and also the older Apple Pencils won’t be working with the latest iPads either. Talking of the specs, then the new iPads have also got the fastest chip from Apple now. They are powered by the A12 Bionic Chip which is ultrafast and smooth, be it any task. The older iPads (10.5inch iPad Pro and 9.7inch iPad) on the other hand used the A10X and A10 processing chips. The A12 chip is 9 times faster than the previous ones, so that makes a huge difference in terms of blazing fast performance. On both the 11inch and 12.9inch iPad Pros, there is a 12MP rear and 7MP front camera. Other similar features include battery life of up to 10 hours, Liquid Retina display, True Tone, ProMotion and no 3.5 mm headphone jack. The screen resolution on the 11inch model is 2388x1668p, while on the 12.9inch model, it is 2732x2048p. When it comes to pricing then, only the US-based pricing has been announced for the latest iPad upgrades. But here’s the thing which keeps a separation among the newer iPad models themselves too. There is the Wi-Fi only and Wi-Fi + Cellular category, which means two ways of having these high-end tablets. The 11inch (Wi-Fi only) iPad Pro for 64GB, 256GB, 512GB, and 1TB internal storage options will be available for $799, $949, $1,149, and $1,549 respectively. While the 11inch (Wi-Fi + Cellular) iPad Pro for 64GB, 256GB, 512GB, and 1TB storage options will be available for $949, $1,099, $1,299, and $1,699 respectively. On the other hand, the 12.9inch (Wi-Fi only) iPad Pro for 64GB, 256GB, 512GB, and 1TB internal storage options will be available for $999, $1,149, $1,349, and $1,749. While the 12.9inch (Wi-Fi + Cellular) iPad Pro for 64GB, 256GB, 512GB, and 1TB storage options will be available for $1,149, $1,299, $1,499, and $1,899. 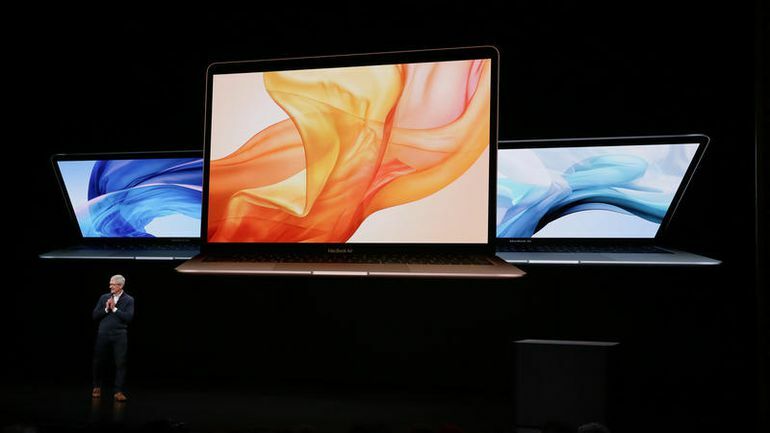 Talking of the newly released MacBook Air itself, then Apple has introduced something refreshing in their most lightweight laptop in three long years. 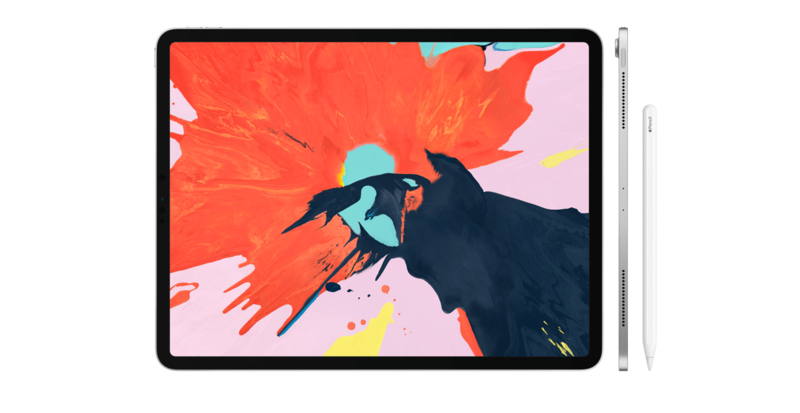 The new MacBook Air features a Retina display and has 50% thinner bezels. The screen-size is 13.3inch (with a resolution of 2560x1600p) which expands to give you a kind of an all-screen display. There are two USB-C ports, Bluetooth 4.2, and the good thing is, it has retained the 3.5mm headphone jack. When it comes to heaviness, then it feels so light, being at just 2.75 pounds. Also, the addition of Touch ID makes it even more secure and safer to log in on the MacBook Air too. It is powered by the T2 chip, similar to the last year’s MacBook Pro and iMac Pro models. But there is no Touch Bar on the Air model. It may be pleasing for some Macbook users since many people didn’t actually like the Touch Bar on the previously released MacBook Pro. The thing which makes the new MacBook Air very powerful and mighty is the 8th Gen Intel dual-core CPU with integrated graphics. The RAM is increased up to 16GB (the base variant has 8GB of RAM) and the flash storage is enhanced up to 1.5TB SSD. When it comes to pricing, then the base model of new MacBook Air with 8GB RAM and 8th Gen 1.6GHz Core i5 processor, and 128GB SSD will be available for $1,199. While the 256GB SSD model will be available for $1,399.